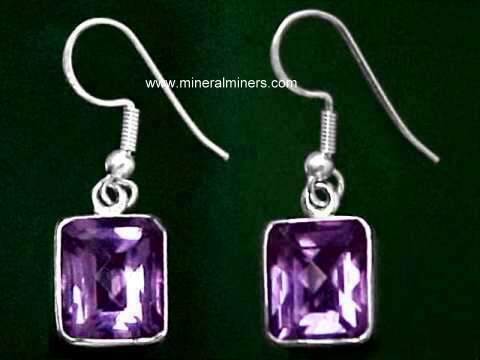 Try our Amethyst Lapidary Grade Rough Satisfaction Guarantee - compare our prices and our superior quality. 4 3/4 x 2 x 1 5/8 inches approx. This large crystal of amethyst lapidary rough was mined in Maraba, Brazil and has colors of light to dark purple with some noticeable color zoning. The upper portion of this crystal shows some bluish color overtones in fluorescent lighting and reddish color overtones in incandescent lighting. 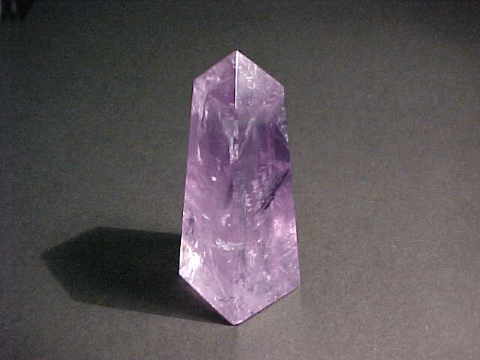 The lower portion of this crystal grades from transparent purple down to milky white quartz at the base. Also there is still some milky white quartz attached to the sides. This crystal crystal shows a nice "negative" image along one side. Although this rough contains some noticeable veils and small inclusions it should cut several nice gem stones, or a nice carving or cabs. The clean areas require some orientation for the best results. 4 5/8 x 1 3/4 x 1 1/2 inches approx. This large crystal of amethyst lapidary rough was mined in Maraba, Brazil and has colors of light to dark purple with some noticeable color zoning. The upper portion of this crystal shows some bluish color overtones in fluorescent lighting and reddish color overtones in incandescent lighting. 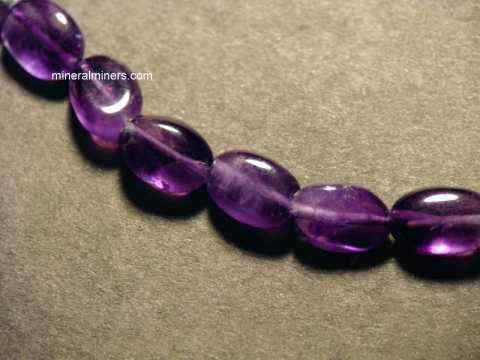 The lower portion of this crystal grades from transparent purple down to milky white quartz at the base. Also there is still some milky white quartz attached to the sides. This crystal shows a nice "negative" image along one side. Although this rough contains some noticeable veils and small inclusions it should cut several nice gem stones, or a nice carving or cabs. The clean areas require some orientation for the best results. 4 x 1 7/8 x 1 5/8 inches approx. 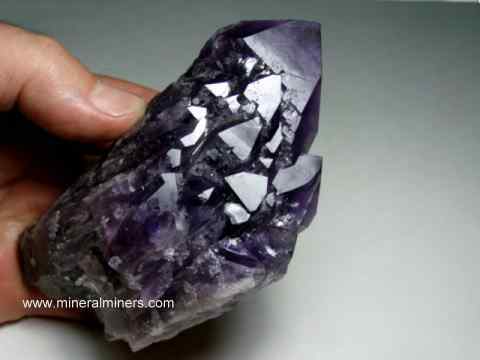 This large crystal of amethyst lapidary grade rough has two crystal tips. 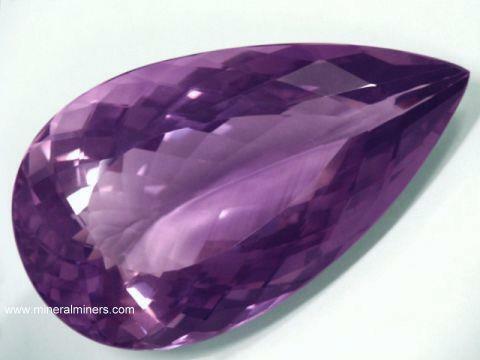 It was mined in Maraba, Brazil and has colors of light to dark purple with some noticeable color zoning. The upper portion of this crystal shows some bluish color overtones in fluorescent lighting and reddish color overtones in incandescent lighting. 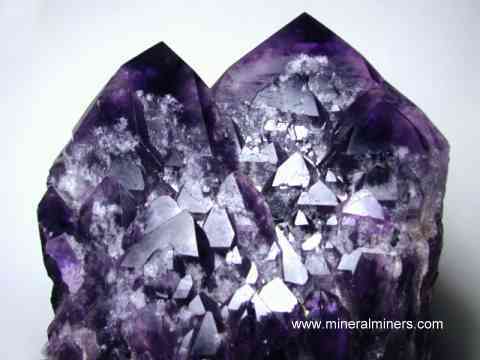 The lower portion of this crystal grades from transparent purple down to milky white quartz at the base. Also there is still some milky white quartz attached to the sides. Although this rough contains some noticeable veils and small inclusions it should cut several nice gem stones, or a nice carving or cabs. This crystal also has a "negative" in-print along one side. 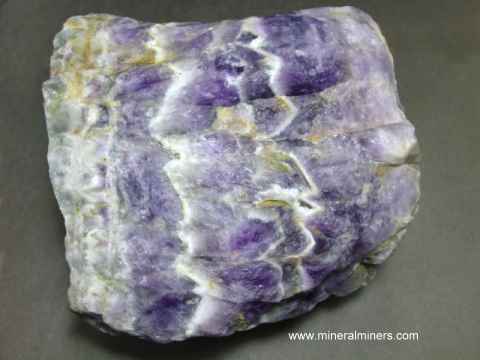 See also another view of this natural specimen of natural amethyst facet rough. The clean areas require some orientation for the best results. Natural Amethyst Facet Rough Dimensions: 1.8" x 1.4" x 1"
This piece of natural amethyst gem grade rough was found at Maraba, Brazil. It has 100% natural color with some color zoning. 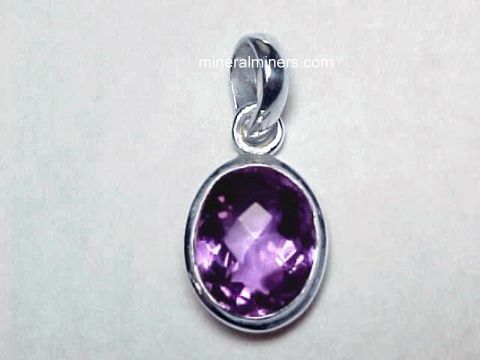 In one direction, this natural amethyst chunk has very pale purple color. Perpendicular to this direction the color is a beautiful light purple color as shown at left. 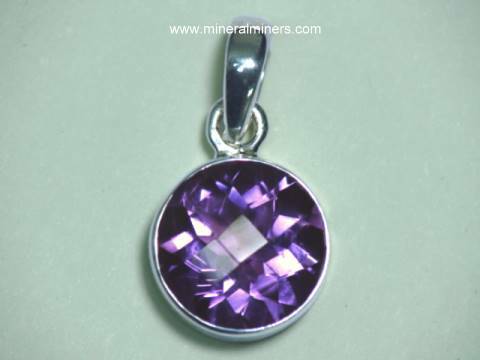 This rare quality amethyst piece makes a great specimen of gem grade amethyst just as it is. 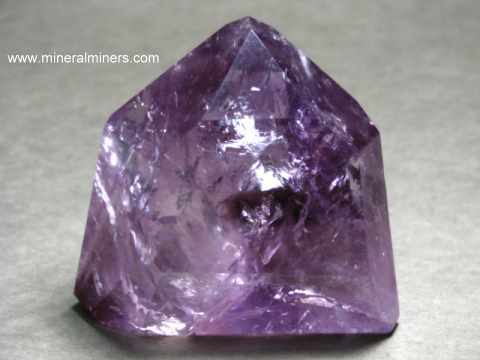 This amethyst specimen is also ideal for making a large flawless carving or faceted gemstones. It is over 50% internally flawless, and it would yield more than 80 carats of totally clean faceted gemstones. Natural Amethyst Facet Rough Dimensions: 2.4" x 2.3" x 1.7"
This piece of natural amethyst gem grade rough was found at Maraba, Brazil. 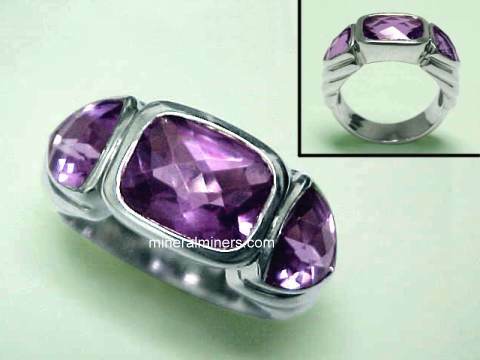 It has 100% natural color with noticeable color zoning showing almost colorless areas, some smoky quartz areas, and other areas with beautiful light purple color. See also another view of this natural bi-color specimen of natural amethyst facet rough. This natural color amethyst rough piece makes a great specimen of gem grade amethyst with smoky quartz just as it is, although it also is ideal for making a large flawless carving or a large flawless faceted gemstone with both amethyst and smoky quartz in the same gem (bi-color amethyst with smoky quartz!). This natural color amethyst rough is over 60% internally flawless, and it would yield over 200 carats of totally clean faceted gemstones. Our Amethyst Lapidary Grade Rough specimens are all 100% natural color - they have not been heated or treated in any way! 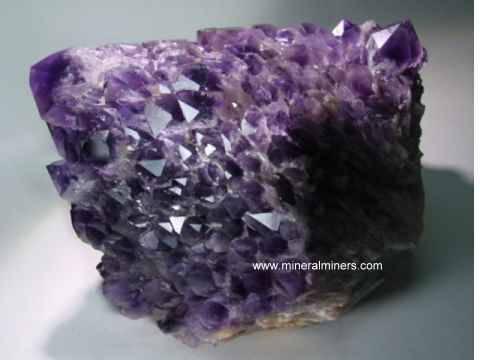 Each of our amethyst rough specimens were mined in Brazil. 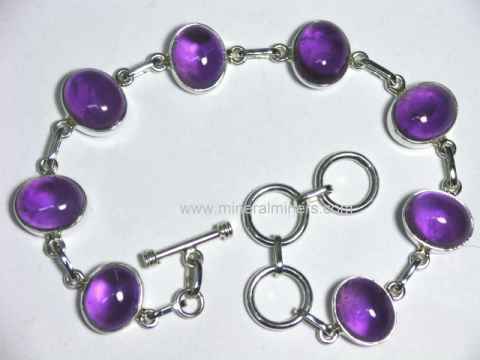 Be sure to see our on-line selection of sterling silver natural amethyst jewelry designs with amethyst bracelets, amethyst pendants and amethyst rings. 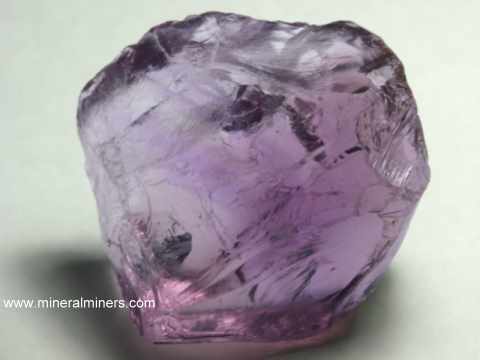 We have been mining for aquamarine, topaz, citrine, amethyst & other gems in Brazil for more than 25 years, and we have a large selection of natural amethyst rough specimens and natural amethyst crystals in stock. 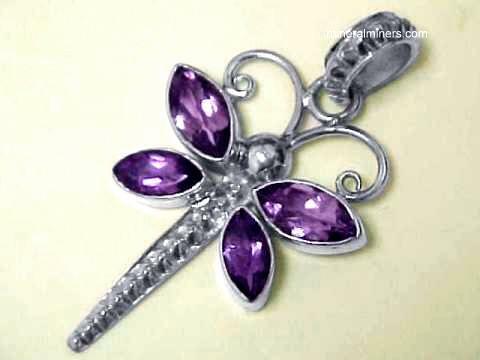 See also our on-line selection natural color amethyst gemstones including some rare size amethyst collector gems. 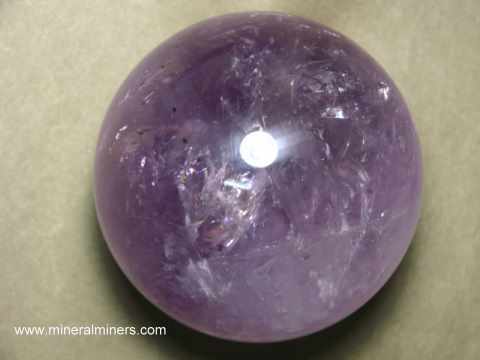 Some of our amethyst mineral specimens, our polished amethyst crystals and our amethyst spheres also have large transparent areas suitable for use in carving, cabbing and other lapidary projects so you may wish to check out these pages as well in our virtual gallery. 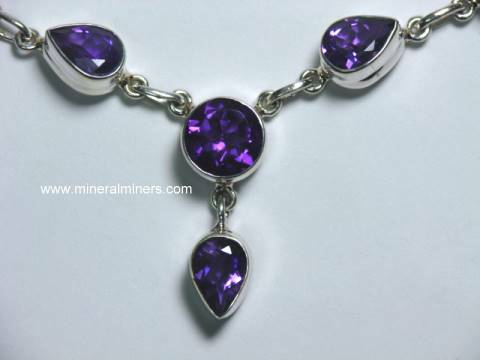 Would you like us to inform you when we add more natural amethyst pieces with lapidary grade areas? We do have additional inventory of natural color lapidary grade amethyst rough pieces in stock at our mineral warehouses, so be sure to let us know if you have any special requests.